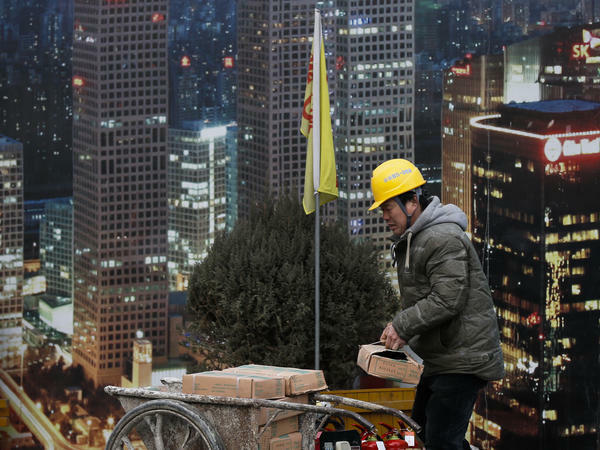 A worker loads building material on a cart outside a construction site at the Central Business District in Beijing. China's top economic planner expressed confidence this month that stronger consumer spending will help the economy grow. Peking University economist Michael Pettis. "It was a shocking speech at the time," says Peking University economist Michael Pettis. Shocking because by 2007, many of the world's top economists, turned off by the growing financial crisis in the United States, were falling in love with China's economic growth model. "Most economists insisted that the Chinese growth model was perfectly fine, there were no problems with it, it was the best thing since sliced bread," remembers Pettis. "So when Wen Jiabao announced that imbalances were very deep and had become a problem for China, that obviously resolved the debate very, very quickly." Fast-forward to this month: China's government has made the controversial move to abolish presidential term limits. While that's dismayed outside observers who hoped the country would become more liberal, there is a flip side to the debate. According to some economics experts, this critical reform could give President Xi Jinping time he needs to correct the problems Premier Wen was warning about — and that could actually turn out to be a good thing for the global economy. China has spent the better part of the last two decades on a building spree. It's constructed the world's largest high-speed rail network, dozens of subway systems, highways and entire cities. This investment-led model has driven a historic economic expansion, but it's also resulted in a dangerously lopsided economy. The growth has disproportionately benefited the elite in and around the government instead of everyday Chinese workers, many of whom still don't make enough to enter the consumer class. President Xi's administration spent much of its first term attempting to rebalance the economy toward a more sustainable, consumer-led growth model. But according to China's top economic experts, doing so will likely cause economic pain to the country's powerful state sector, and it will take several years. That's why economists like Pettis reason that eliminating term limits for Xi might be better for China's — and the world's — economy in the long run. Despite former Premier Wen's warnings, imbalances in the national economy grew. China's leadership in the early 2000s under then-President Hu Jintao tried to introduce reforms to restore balance, but they gave up when the rich and powerful pushed back, protecting their massive share of China's economic pie. "In the end they decided simply to keep the ball rolling, since they only had two or three or four more years in office," recalls Pettis. Politically, it was the choice of least resistance. Economically, analysts say it led to wasteful spending, dangerous levels of government debt and rampant corruption; all issues that have confronted President Xi since he took office in 2013. There are many reasons behind the Chinese government's controversial scrapping of term limits. They include bringing the president role more in line with two other top posts: the military and Communist Party heads. But in terms of economics, the reforms China needs, Pettis says, will require strong leadership over an extended period. Xi has used his first term to consolidate power — now he's been given more time to wield it. "My big fear if he didn't have a third term is that he would be really reluctant to implement the reforms during this term because there's almost no way you can do so without slowing the economy for many, many years," Pettis says of the economic reforms needed to restore balance to China's economy. "So there's no way he could've really reformed sufficiently without leaving 2022 in a pretty bad state." And that, says Pettis, would have likely spelled political trouble for Xi at the end of his second five-year term. For visitors to China's gleaming cities of Shanghai and Beijing, the trajectory of the national economy may seem unstoppable — but appearances are deceiving. "China's economy is so far below its potential," says Shanghai-based economist Andy Xie. "China should be, by far, the largest economy in the world." Xie points out that 800 million Chinese people work, most of that population works overtime, and nearly 70 percent of Chinese women work — outperforming men in many developed countries. In other words, China's population works incredibly hard. Yet the nation's gross domestic product per capita hovers just above $8,000 a year — below the global average and about a fifth of the average developed country. Xie says systemic corruption has siphoned much of China's economic spoils over the past 20 years into the pockets of corrupt government officials. Xi has devoted his first few years as president to cleaning up political corruption, and now he needs to pivot to focus on lifting household incomes, says Xie. China's labor force remains productive. 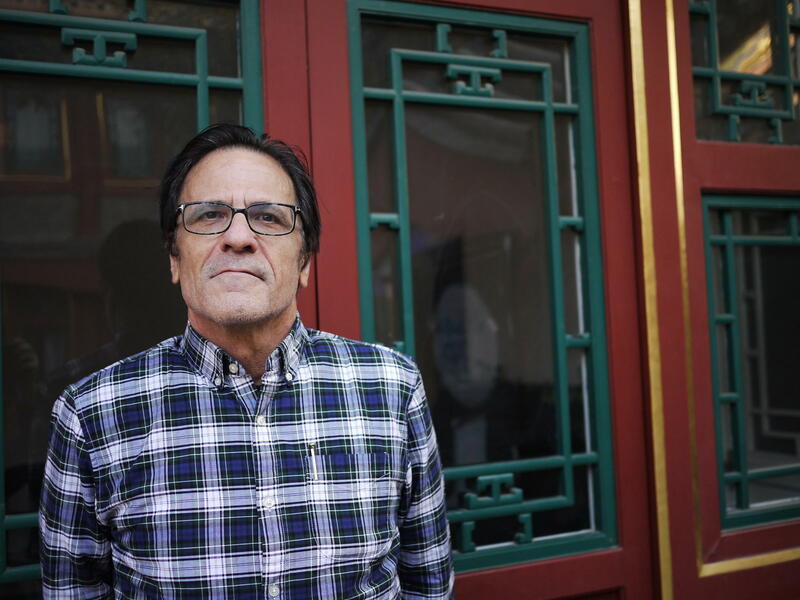 "In a way, the government in China has a very good hand," Xie says. "If you set the direction right, China will boom beyond your imagination." But will Xi — now a potential ruler for life — set China's economic direction straight? "In the short run, absolute centralized power might help continue economic growth and make it easier to make political and economic decisions," says Shi Yinhong, an international relations professor at Renmin University in Beijing. "On the other hand, a flexible political environment and civil liberties are needed in order to have a sustainable and healthy economy." And most observers agree that, with the government's near-unanimous approval of doing away with presidential term limits, a flexible political environment is something China will lack for some time to come. All right, in Beijing, the annual legislative session is ending with China's leader, Xi Jinping, emerging as a potential ruler for life. Global reaction to this power grab has largely been one of anxiety about China's future. But as NPR's Rob Schmitz reports, some economists remain hopeful. ROB SCHMITZ, BYLINE: It was March, 2007. WEN JIABAO: (Foreign language spoken). SCHMITZ: China was wrapping up its legislative session, and Premier Wen Jiabao spoke to reporters. His country was in the midst of double-digit growth, a consumer class was rising and Beijing would soon host its first Olympic Games. There was every reason to boast. But that's not what he did. SCHMITZ: "There are structural problems," Wen said ominously, "which are causing unsteady, unbalanced, uncoordinated and unsustainable development." MICHAEL PETTIS: It was quite a shocking speech at the time. SCHMITZ: Shocking, says Peking University economist Michael Pettis, because by 2007, economists were falling in love with China's economic growth model. PETTIS: Most economists insisted it was the best thing since sliced bread. So when Wen Jiabao announced that the imbalances were very deep and had become a real problem for China, that obviously resolved that debate very, very quickly. SCHMITZ: Despite Wen's warnings, economic imbalances grew. The spoils of 30 years of rapid growth were benefiting the elite in and around China's government disproportionately over everyday people. The leadership tried to restore balance but gave up when the rich and powerful pushed back. PETTIS: In the end, they decided simply to keep the ball rolling since they only had three or four more years in office. SCHMITZ: Politically, it was the choice of least resistance. Economically, it led to wasteful spending, historic government debt and rampant corruption. These are the issues that have confronted Xi Jinping since he took office in 2013. There are likely many reasons behind the controversial decision to eliminate term limits for Xi, but from a purely economic standpoint, says Pettis, it makes sense. The economic reforms necessary to rebalance China's economy, he says, will require strong leadership over an extended period of time. Xi Jinping has used his first term to become a strong leader. Now, he's been given more time. PETTIS: My big fear if he didn't have a third term is that he would be really reluctant to implement the reforms during this term because there's almost no way you can do so without slowing the economy for many, many years. SCHMITZ: And that, says Pettis, would have spelled political trouble for Xi at the end of his second five-year term in 2022. For visitors to China's gleaming cities of Shanghai and Beijing, the trajectory of China's economy may seem unstoppable. But appearances, says economist Andy Xie, are deceiving. ANDY XIE: China's economy is so far below its potential. China should be, by far, the largest economy in the world. SCHMITZ: Xie points out that 800 million Chinese people work. Most of that population works overtime. And nearly 70 percent of working-age Chinese women work. That's more than men in most developed countries. In other words, China's population works incredibly hard. Yet per-capita income in China is just above $8,000 a year, some 20 percent of the average developed country. Xie blames corruption. Xi Jinping has devoted his first term to cleaning up China's corrupt system. Now, he has to grow household income, says Xie. XIE: The government in China has a very good hand. They have very good cards. If you set the direction right, China will boom beyond your imagination. SCHMITZ: But will Xi Jinping - now a potential ruler for life - set China's economic direction straight? Renmin University international relations professor Shi Yinhong isn't sure. SHI YINHONG: (Through interpreter) In the short run, absolute centralized power might help continue economic growth and make it easier to make political and economic decisions. On the other hand, a flexible political environment and civil liberties are needed in order to have a sustainable and healthy economy. SCHMITZ: And most observers agree that a flexible political environment is something China will not have for some time to come. Rob Schmitz, NPR News, Beijing. (SOUNDBITE OF GOLD PANDA'S "HALYARDS") Transcript provided by NPR, Copyright NPR.